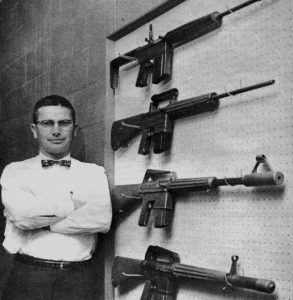 Eugene Stoner and the ArmaLite AR-10. In 1954, Fairchild Engine and Aircraft Corporation founded the ArmaLite division of its company to focus on designing guns in hopes it would lead to military and government contracts. ArmaLite hired Marine veteran and firearms designer Eugene Stoner as Chief Engineer. Stoner’s big idea at the time was to use advanced plastics and lightweight aluminum alloys to build a gun—a revolutionary idea at the time. ArmaLite’s first firearm was the AR-5 survival rifle. Called the MA-1 in the U.S. Airforce, the bolt-action AR-5 was chambered in .22 Hornet, came apart for compact storage and floated. The Army began its search to replace the M1 Garand in 1955. Stoner submitted his .308 AR-10 which had a lightweight aluminum receiver and a plastic stock and handguard. He used a steel barrel extension to lock the bolt. They didn’t make the deadline, but the Army asked ArmaLite to design a rifle like the AR-10 but in a smaller caliber—which later became the AR-15. 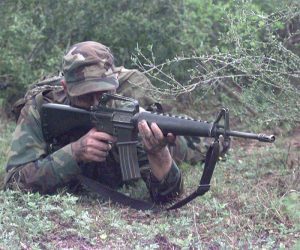 The military version of the AR-15, called the M16, was licensed to Colt Firearms in 1959. After the patents for the AR-15 design expired, Jim Glazier and Karl Lewis of Lewis Machine and Tool started making their own civilian AR in 1989. Today’s AR-15 is a semiautomatic rifle either gas- or piston-operated and fires from a locked bolt. Traditionally it is chambered for .223 Remington/5.56mm NATO but AR-style rifles are chambered in many different calibers including pistol calibers like 9mm and .22 LR. Most find the AR-15 easy to operate and manage. It is a highly customizable rifle, which is a huge part of its appeal. Today, the AR-15 is considered America’s favorite rifle. The National Shooting Sports Foundation estimates there are anywhere between 5 to 10 million AR-15s owned in the U.S.A.
A current model ArmaLite AR-15 for sale. The AR-15 is easily built from the bottom up with the purchase of a lower receiver, which is the part of the gun with a serial number and the part the government deems the “gun” part of the gun. When building and accessorizing an AR, it may feel like there are an endless amount of choices of parts—and there almost is! AR parts and accessories are available in all different budgets from the high-end and hand-tuned one-of-a-kind pieces to assembly line, made in China cheapies. 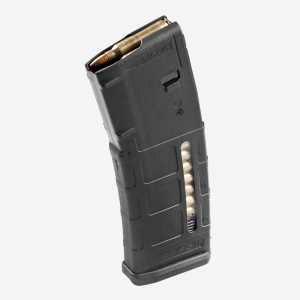 One of the best selling AR mags is the Magpul PMag. When it comes to AR accessories and parts, the higher price doesn’t necessarily reflect higher quality. One of the most trusted companies, Magpul, that make magazines, stocks and grips for the AR is also very affordable. For the everyday shooter—meaning someone who doesn’t use their gun for their job—and casual hunter, even some of the cheapest AR accessories stand up to the test. That’s one of the reasons why the AR-15 is so awesome—you can build one on a strict budget that will hit targets accurately and take down hogs, varmints, pests and predators. You can run an AR accurately without any bells and whistles but what’s the fun in that, especially when there are a plethora of accessories that will enhance your shooting? Stocks, furniture, grips, handguards and rails, and optics are all parts AR owners love to mount on their rifles for something unique to them. If new to the black rifle world, you probably are wondering where to begin. You will obviously want a lower receiver, upper receiver, lower parts kit with bolt carrier group (BCG) and barrel. These are the parts necessary to make the gun fire. Once you get those essential parts, you can start building! After choosing the ‘gun’ parts of your gun, you’ll want to consider its primary use. Many accessories are designed for a specific purpose. For example, reflex sights for competition, flashlights for home defense, long-range riflescopes for precision shooting, suppressors for noise and so on. A classic Colt AR-15 from 1973. 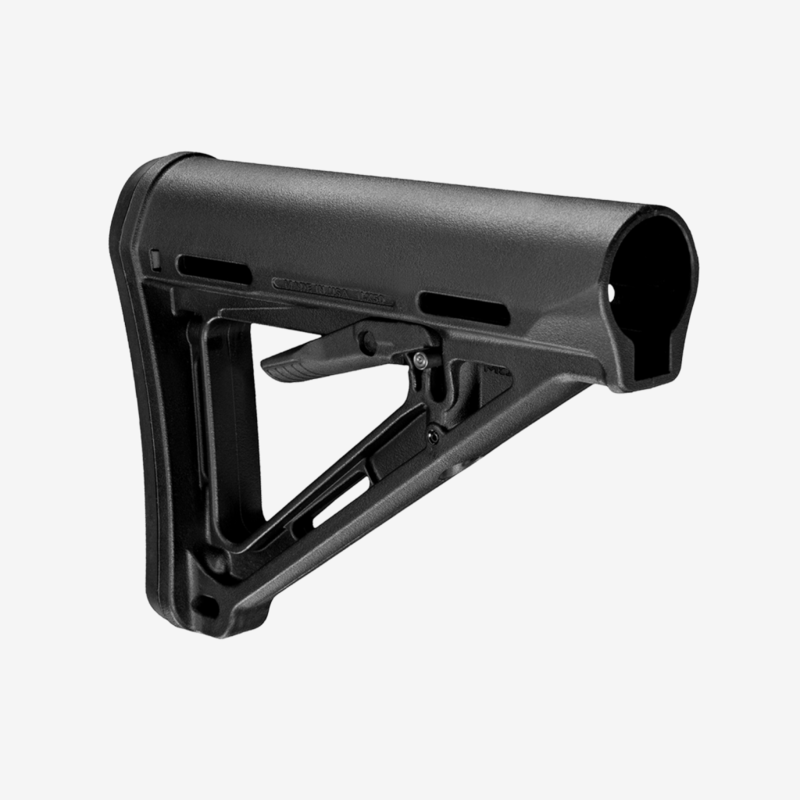 Black Magpul MOE® Carbine Stock – Mil-Spec. For only $39.95, you can get one of the most trusted stocks on the market. Magpul,’s lightweight, A-Frame collapsible stock is a classic. Drop-in installation and positive lock up with quick adjustments on the length of pull make this stock a favorite. The design is snag-free. Constructed of reinforced polymer, it is strong and sturdy without rattle. It includes a 0.30-inch rubber buttpad and is made in the U.S.A. It has a 3.3-inch length of pull adjustment range and weighs only 8 ounces. Take your pick from black, FDE, OD green, gray and pink. 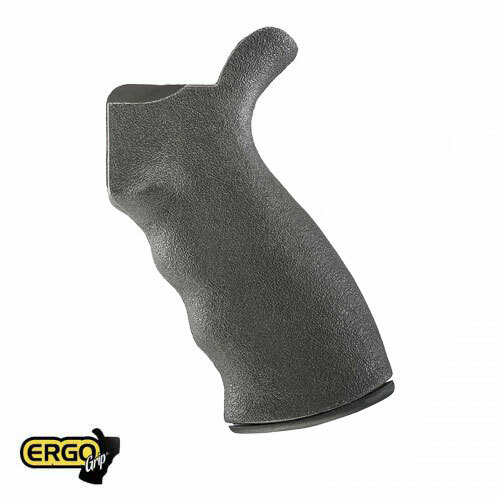 The first ergonomic grip designed specifically for the AR-15 was the Ergo grip. Though there are MANY grips on the market, why not purchase one that is battle-proven? The first ergonomic grip designed specifically for the AR-15, the Ergo grip is made of hard polymer and has a sure grip with aggressive texturing and ergonomic finger grooves for a non-slip grip. 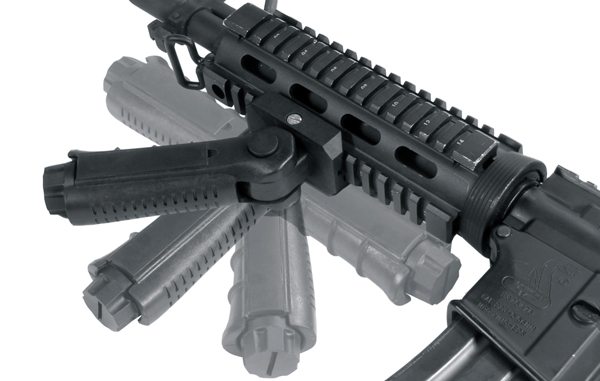 In 2001, the U.S. Military purchased the Ergo SureGrip as standard issue for the SPR and MK 12 rifles. They are made in the U.S.A. and only cost $26. Vertical foregrips mount on a rail under the barrel of your rifle. They help control muzzle rise, provide better control, aide in faster transitions between targets, fight fatigue and overall provide better control over your rifle. For the ultimate in control, the Leapers UTG foldable foregrip allows you to customize their foregrip for your situation with five different positions. Ergonomic finger grooves give you a solid grip, it mounts quickly and easily folds up when you don’t need it or when you’re transporting your rifle. MSPR is $14.97 but retails for less than ten bucks. The Strike Industries Viper handgun has a unique look and an excellent price tag! If you want your AR to stand out, the Strike Industries handguard has a unique aesthetic unlike most modern skeletonized or classic solid handguards on the market. 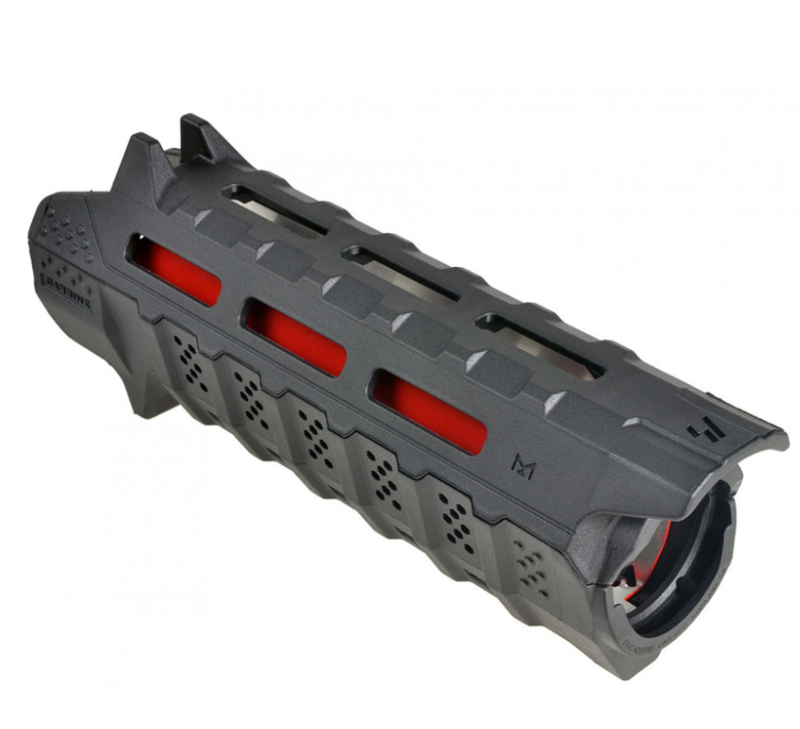 At only $27.95, the Strike Industries carbine length Viper handguard is constructed of impact-resistant nylon fiber-reinforced injection-molded polymer with aggression gripping with both bottom and top integrated handstops. It is M-LOK compatible with simple drop-in installation. For self-defense, training and low-light situations, the Firefield Charge has a 220-lumen flashlight with an integrated bright green laser sight. For $100, it is hard to find a better quality 2-in-1 unit with a slim, low-profile, yet high-powered laser and bright flashlight. For self-defense, training and low-light situations, the Firefield Charge has a 220-lumen flashlight with an integrated bright green laser sight. 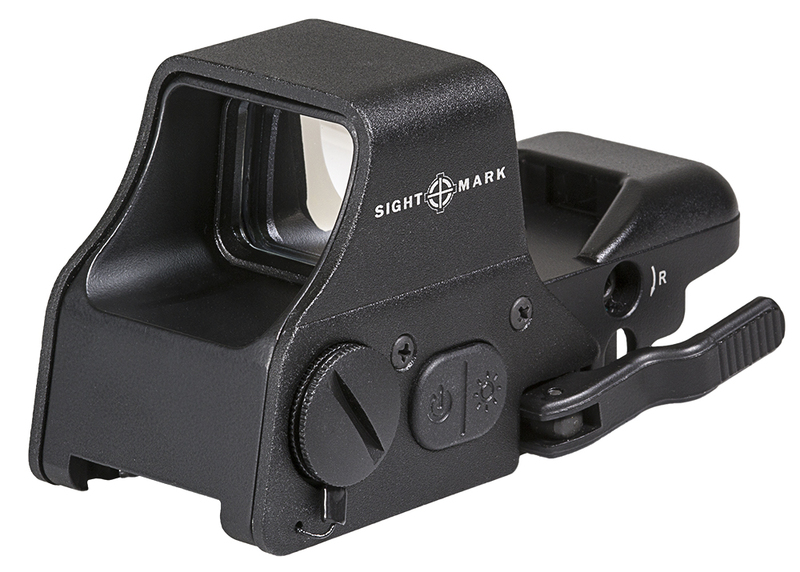 Mount the sight in front of other optics like red dots or reflex sight or offset it for use with your iron or flip-up sights. It includes a pressure pad for quick, one-handed operation and hand-adjustable windage and elevation adjustments. The green laser is visible up to 600 yards at night. The Charge only weighs 6.5 ounces and is water-resistant, shockproof and recoilproof, tested to .308 Winchester. Sightmark’s Ultra Shot Plus has both red and green illuminated reticles with adjustable brightness. A reflex sight is the most popular type of optic to put on your AR-15. A style of red dot sight is what our military uses and so do professional competitors. Reflex sights allow you to shoot with both eyes open allowing for greater situational awareness, provide very fast target acquisition and help you shoot more accurately. Sightmark has plenty of high-quality, inexpensive riflescopes, red dot and reflex sights, yet the Ultra Shot Pro is one of the most budget-friendly without sacrificing features shooters request. It has 4 illuminated green and red reticles to choose from—5 MOA dot, 3 MOA dot with 50 MOA circle, 3 MOA dot with 50 MOA crosshair and 3 MOA dot with 30 MOA circle/crosshair. 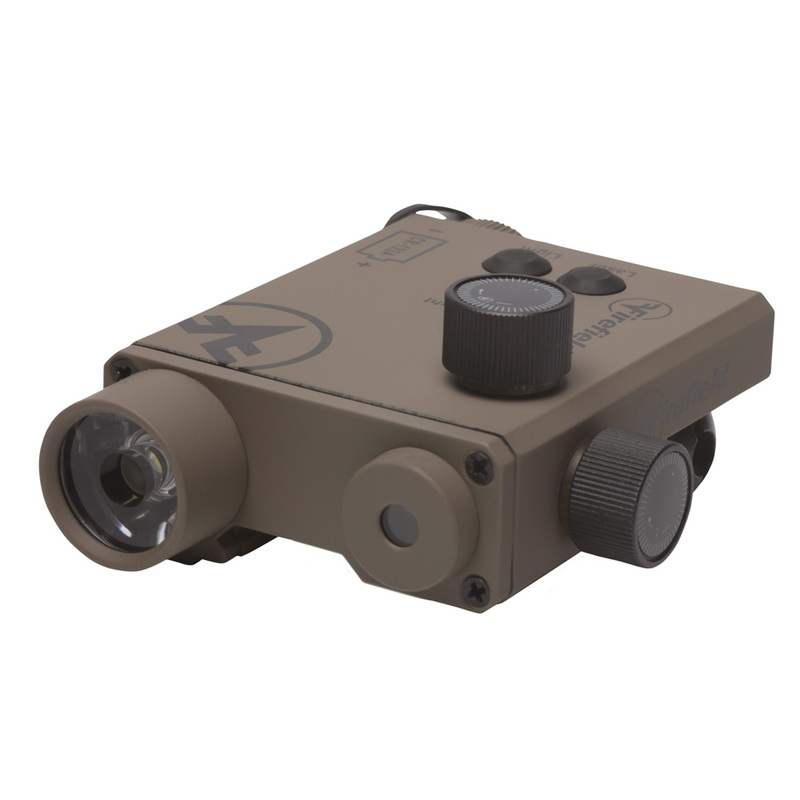 It features a double-pane glass lens with anti-reflective coating, quick-detach mount, Interlok internal locking systems, wide field of view and adjustable brightness. It is also IPX4 weatherproof and has a limited lifetime warranty. You won’t find a better reflex sight for the money at $129.97. This list of the best budget AR accessories is just one writer’s favorite affordable parts for their AR. What are your favorites? List them in the comment section.